The Sony 18-105mm stabilised lens is probably the most useful range of all, as it covers full frame and gives you a reasonable wide-angle to telephoto range. 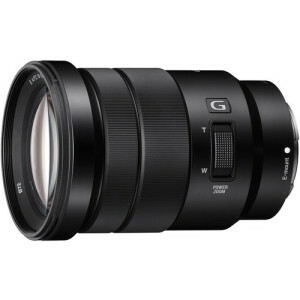 Although it’s not a G lens and slightly cheaper, it still holds a consistent aperture of f4 throughout its zoom range. I think this is a really useful lens if you’re looking for a reasonably priced zoom that covers most of the angles you normally need. Don’t be put off by the f4 aperture, these are very sensitive cameras and with a large chip you would rarely want a depth of field that is shorter than you can get with an f4 lens. The obsession with wide aperture lenses dates back to film days, when we were having to deal with very insensitive materials, and having a wide maximum aperture would determine whether you could shoot at all in certain situations. The wider the aperture, the more difficult it is to design the lens, and the more expensive it is as a result. A wide aperture lens is always a compromise and a lot of the f1.4/f1.5/f2 lenses suffer from being a bit woolly around the edges when wide-open. For optimum performance f5.6 is the best stop to shoot at. As with all these lenses, they are predominantly designed for autofocus, and therefore are not ideal if you want to pull focus or for use with a follow focus, although possible. “35mm equivalent focal-length (APS-C)” and “Angle of View (APS-C)” are with interchangeable-lens digital camera incorporating APS-C type image sensors.